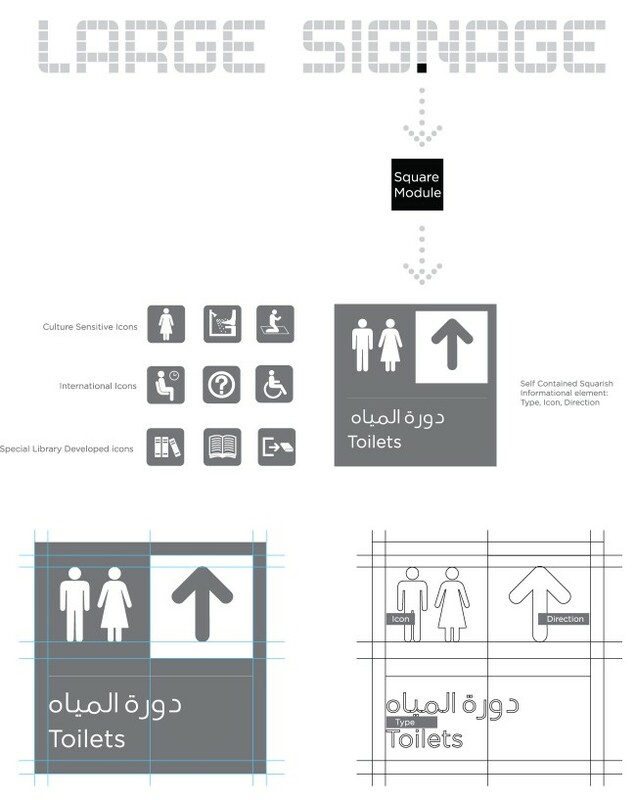 For the public library in Doha, Qatar, Tarek Atrissi Design developed the concept design for the an elaborate signage system that was used as the basis for the wayfinding across the library building complex. Tarek Atrissi Design worked closely with OMA (the Office for Metropolitan Architecture), the renowned architecture firm behind the design of the Public Library in Qatar. The signage design concept was conceived to work in both Arabic and English, and was designed in two levels for inside the public library itself and for the rest of the building and its facilities and administrative component. 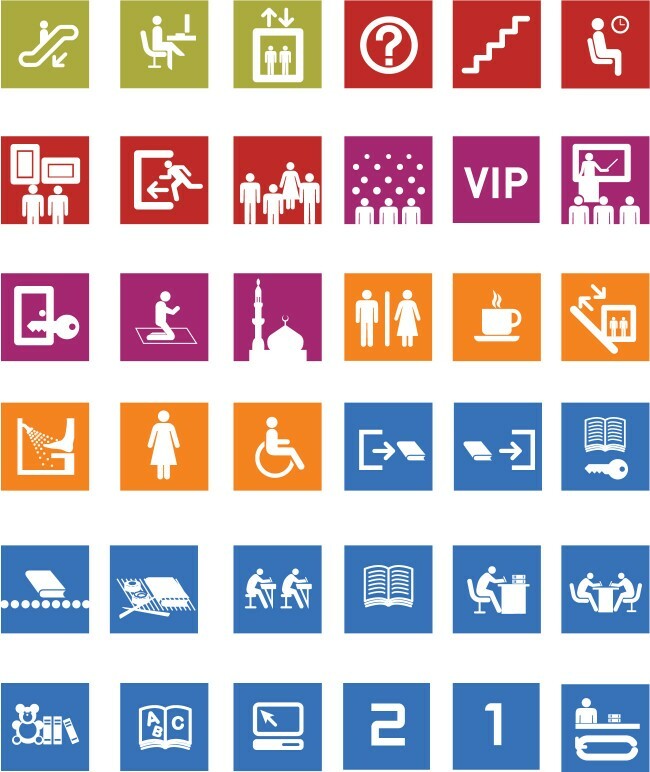 A palette of signage icon library was designed, combining international icons used for signage together with custom designed icons that are culturally appropriate for the region.